In an exciting final, Belgium managed to take the bronze medal, while Italy had to wait until the last rotation to be crowned the 2017 FIT Challenge winner! The team final, a competition that gathered both Juniors and Seniors in one team, took place on Sunday afternoon in Ghent, with teams from Belgium, Italy, France and Spain battling for medals. 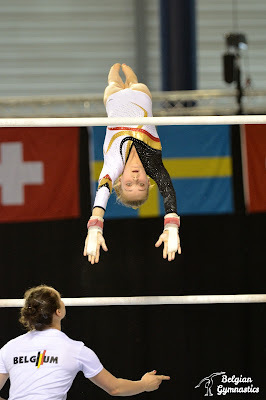 Belgium had a rough start on beam, with Kay-Li De Neef and Margaux Daveloose falling off the apparatus. 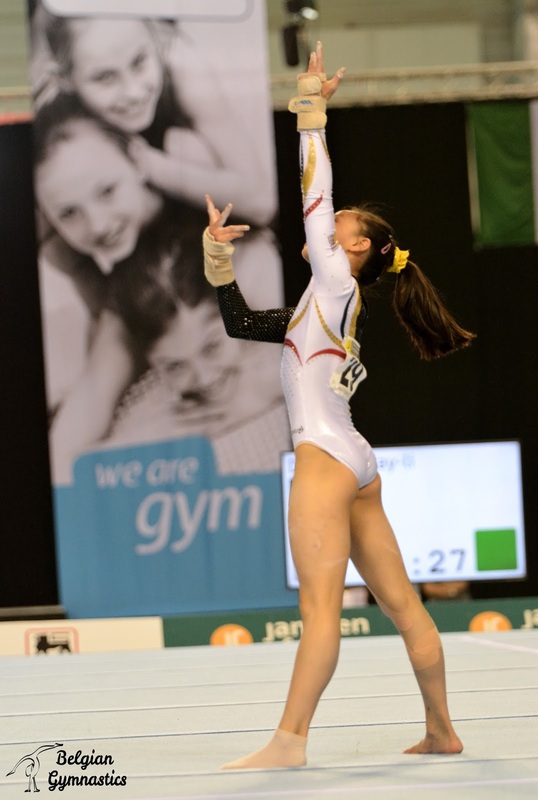 Nina Derwael earned the highest score for the team, with a 13.900 for her beautiful set. Rune Hermans was also confident to get 13.400. On floor, Kay-Li managed to put her beam performance aside to deliver a great routine, with difficulty and expressiveness (12.700). Cassia Priels had a good performance too, and got 12.666. Maellyse Brassart, who won silver the day before in the all-around competition, had a bad day on floor, falling twice, while Rune Hermans was very solid to get the highest score of the team with 13.133. On vault, Maellyse Brassart got the highest score with 13.633, followed by Julie Meyers (13.566). Cassia Priels and Julie Vandamme were steady for the team as well. On bars, Julie Vandamme and Margaux Daveloose started off really well but then fell on their releases. Senna Deriks got the job done with her intricate routine and got closer to the 14 mark (13.933). But the highlight of the day was undoubtedly Nina Derwael's routine. After a fall the day before, the European Champion wanted to show the best that she could do in front of her homecrowd. She posted the huge score of 14.800 ! 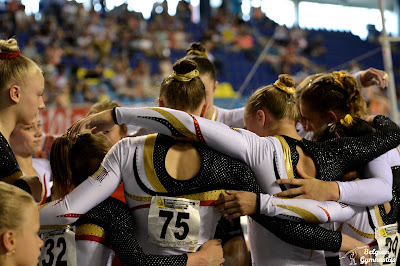 With a total score of 202.128, Belgium won the bronze medal, ahead of Spain, the two countries battling for that 3rd place up until the last two rotations. But the fight between France and Italy for gold was the most entertaining thing to happen yesterday. The French girls were in the lead until the very last rotation, where they headed to floor, while Italy was on vault. 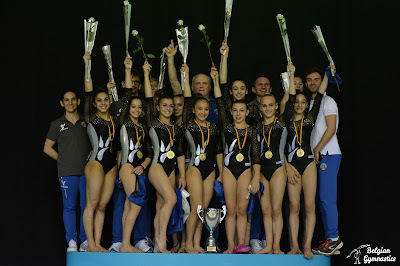 With higher difficulty and execution, the Italians came on top to place first and win the gold, their 6th medals of the weekend. 2017 FIT Challenge: all you need to know!